A Chattogram court sent recently a former Chittagong Port Authority (CPA) official's wife to jail in a graft case filed against her by Anti Corruption Commission (ACC) in 2008. Metropolitan Magistrate Mehnaz Rahman passed the order after Afroja Khan, wife of CPA's Chief Hydrographer Habibur Rahman Khan surrendered before the court and sought bail, in a case filed for amassing illegal wealth, said ACC's Public Prosecutor Advocate Kazi Sanwar Ahmed Lavlu. According to the case statement, ACC filed the case with Double Mooring Police Station, accusing the couple of amassing wealth illegally worth of Tk 1,05,25,000. The couple secured four weeks anticipatory bail from the High Court (HC) in April 2008 but did not submit the bail bond in the lower court. In July 2008, a Chattogram court issued arrest warrant against the couple. In 2013, the couple filed another petition with the HC challenging the case. Meanwhile, Habibur died in 2016, while the HC dismissed the couple's petition. "As Afroza did not appear before the court on time in the case, an warrant was issued against her few days ago" said Advocate Lavlu. 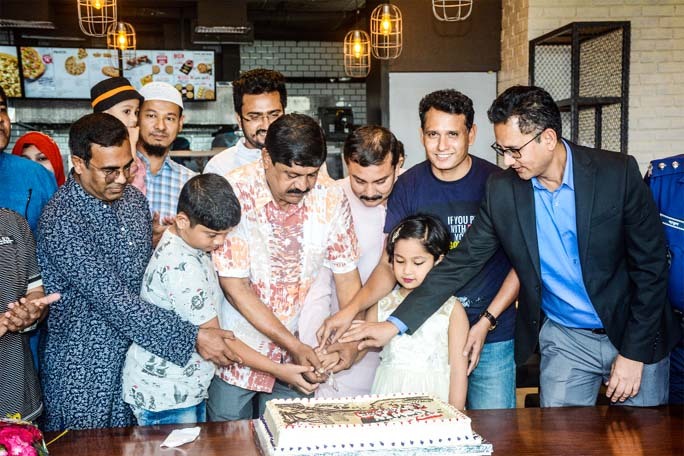 A new outlet of Pizza Hut was inaugurated in Cox's Bazaar recently. Mahila Awami League, Chattogram District Unit arranged a Doa Mahfil and discussion meeting marking the 10th death anniversary of Nilufar Kawsar, former president of the organisation. 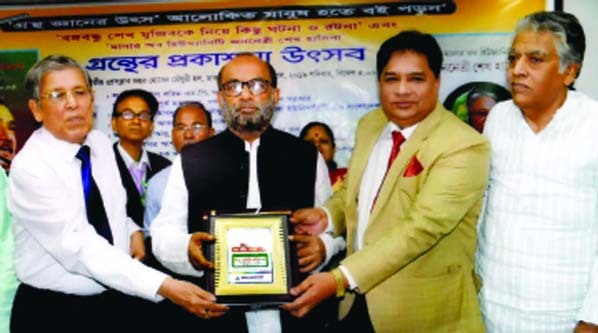 Hasina Mohiuddin, President of the organisation was present among others. 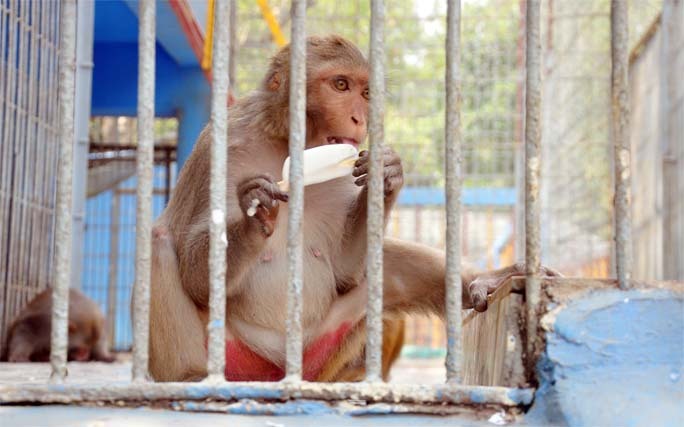 A monkey eating ice-cream at Chattogram Zoo to get ease from excess hot temperature. This snap was taken yesterday. 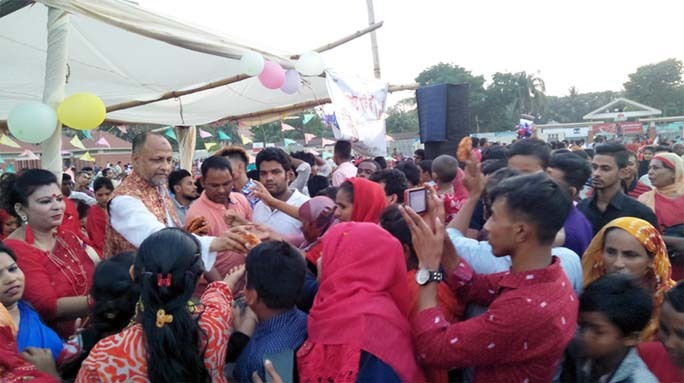 M A Latif MP greeting people by giving pitha marking the Pahela Baishakh on Sunday.